Borna Coric, advancing to his first ATP semifinal since this clay event last year, broke Ramos-Vinolas three times to prevail in 2 1/2 hours. Borna Coric of Croatia rallied past second-seeded Albert Ramos-Vinolas of Spain 4-6, 6-4, 6-4 to reach the semifinals of the Grand Prix Hassan II on Friday. Coric, advancing to his first ATP semifinal since this clay event last year, broke Ramos-Vinolas three times to prevail in 2 1/2 hours. 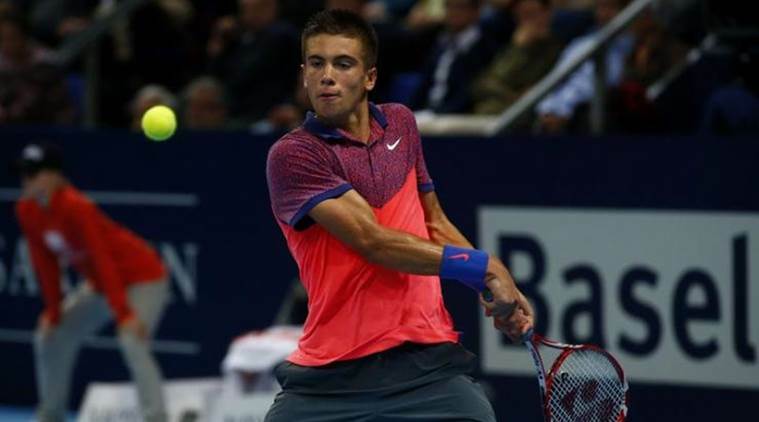 To reach the final again, the 20-year-old Coric will have to get past Jiri Vesely, who defeated No. 5 seed Paolo Lorenzi 3-6, 6-3, 7-6 (5). Even so, he lost his serve only once. The second semifinal will pit third-seeded Philipp Kohlschreiber of Germany against Benoit Paire of France. Kohlschreiber defeated countryman Jan-Lennard Struff 3-6, 7-5, 6-3 while the sixth-seeded Paire ousted Spanish veteran Tommy Robredo 6-2, 6-4.